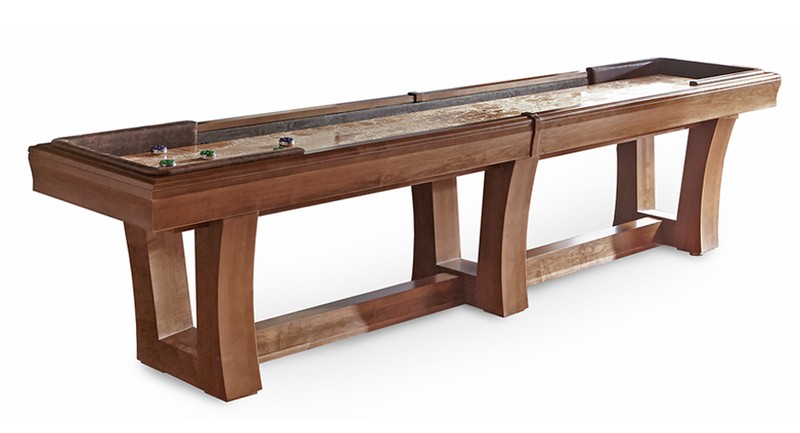 The City Shuffleboard has a solid 2.25″ thick tongue, and grooved beech wood play field with inlaid black walnut scoring areas. 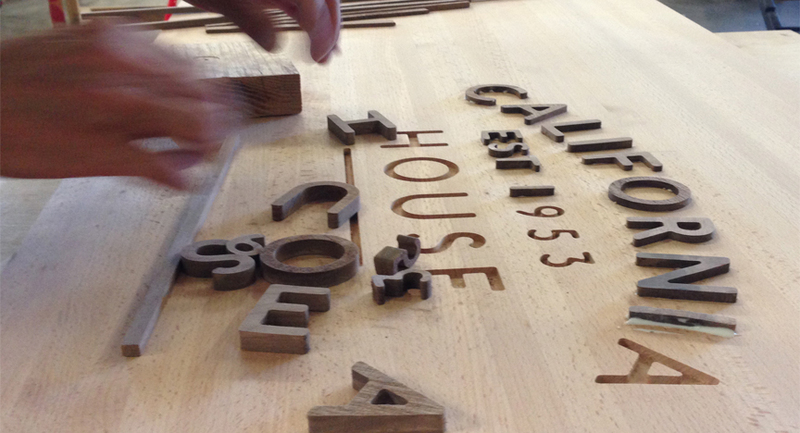 All quality-made in the USA. 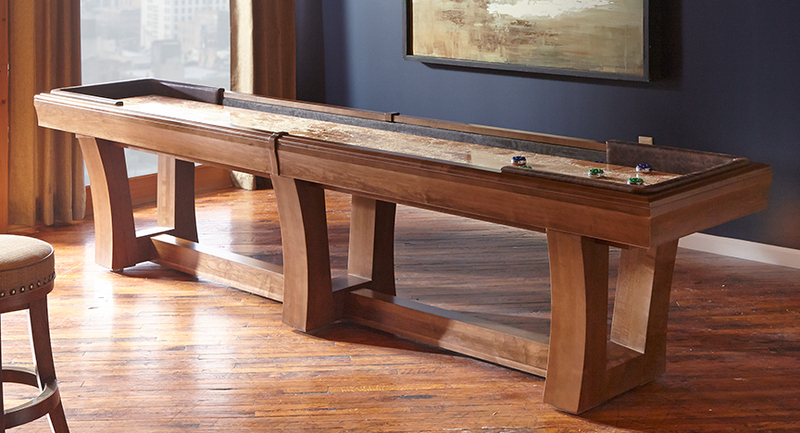 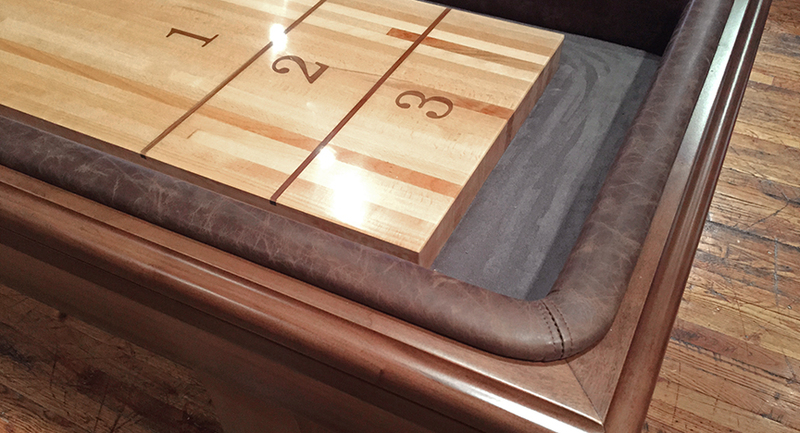 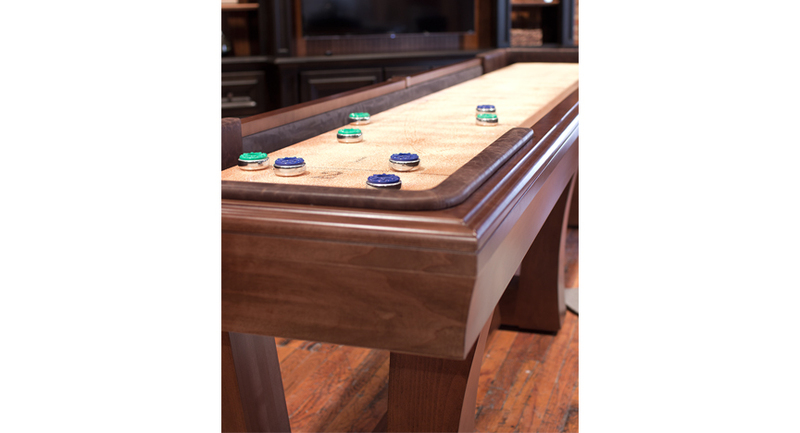 The City Shuffleboard Table is an original California House design.